Your sixth wedding anniversary might not seem like a big year as far as anniversary celebrations go — but it's still an occasion to mark. You've passed the five year mark and are well on your way to spending your first decade together. Between holidays and birthdays, finding the right gift for your loved one can be challenging. 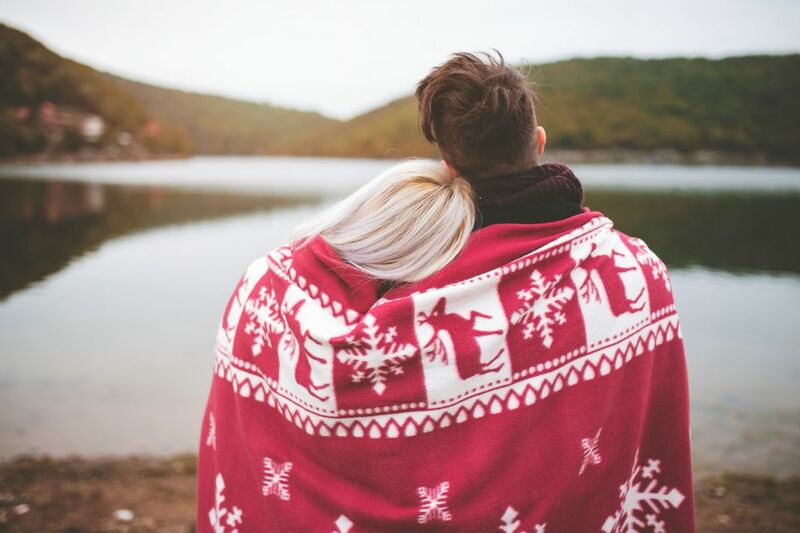 Thankfully with each year of marriage comes gift themes to help guide you through your gift purchasing and highlight the strengths in your marriage. The sixth year of marriage'a traditional theme is iron to mark your strength and candy to honor the sweetness of your union. There is also a modern gift of wood and the gemstone for your sixth year is amethyst or turquoise. To help you find the right gift that follows these themes (or not! ), here, the best sixth year anniversary gifts to buy your loved one. If you want to add a personalized touch to the wood theme, why not try this pretty wood cutting board. You can choose from maple, sapelle or walnut wood and then customize it with your name and your wedding anniversary. Since this is a custom gift it takes a few extra days to get this so you can't leave this order until the last minute. Perfect for the foodie or entertainer this cutting board can be used to slice their lunchtime sandwich or as a platter for displaying cheese when guests come over. Male and females will both like this gift that the whole family will get use out of. Iron is a hard category to find a gift for, but this candelabra will add a beautiful decorative touch to your fireplace or dining table. Use it with real candles (not included) or purchase battery operated ones that you can leave on all the time for a romantic look. Your loved one will appreciate the setting the mood gesture, and you'll love the price which is a lot more affordable than competitors. Looking for something that doesn't break the bank? Why not a beautiful book of sonnets. Of course when choosing a book of poetry about love the master of this language was Pablo Neruda who was considered the greatest Latin American Poet of the 20th century. Neruda truly had a deep understanding of what love encompasses as his poems reflect, "The happiness I feel in offering these to you is vast as a savanna," he wrote to his beloved wife. This is a thoughtful gift if you’re searching for something a bit different yet with deep meaning. It touches on the many facets of love and relationships, perfect to reflect on for the years to come. A perfect gift for those who want to infuse some romance into their gift. If looking for a gift in the gemstone tradition for your 6th year anniversary, you're in luck! The amethyst helps ring in your sixth year with its pretty purple hue and jagged construction. This gem is made of quartz which is quite strong and makes a great gift as it has lasting power. These bookends are each secured by glass corners to hold the large amethyst stone. Your sweetheart can add these to a bookshelf for a stylish and practical touch. With candy being one of the traditional themes, you've got your chance to show your loved one you pay attention to what they really like. Pick up some of their favorite candy and add a box of delicious Godiva chocolate that you can both sit back and enjoy. Paired with a bottle of bubbly, you guys have your night set! While flowers are always appreciated it is nice to have something that will last forever. This Meyer lemon tree will not only look beautiful in your backyard it will also provide you with delicious lemons that you can use to make lemonade, desserts and more. Choose a 1 to 2-foot or 2 to 3-foot tree depending on your space parameters and lemon eating needs. For those who live in cooler climates, you can just bring this tree indoors when the temperatures drop. Sadly, due to USDA laws, this tree cannot be shipped to Arizona, California, Florida or Texas but you can pick up a similar tree at your local gardening store. And just a note, when this tree arrives, don't expect it to come bearing fruit, you'll have to wait sometime before it grows and blooms. After six years, as your family and careers grow, life at home can get pretty hectic. The gift of an instant pot can help you get a hot meal on the table in less time (and less dishes) then cooking it on the stove. Instant Pots have been taking the internet by storm because they slow cook, pressure cook, sautee, cook rice, yogurt, cakes and more. You and your loved one will jump right on the Instant Pot bandwagon that will help take the stress out of feeding the family nightly. A win-win for all! Smart home devices are here to stay and one of the top performers of the bunch is the Alexa-enabled Echo. This speaker can play your favorite tunes via voice commands, but also help you set timers, check the traffic, order pizza and much much more. You and your partner might not think you need one of these, but you'll be hooked once you get it, making it the perfect gift. You can choose from five different speaker colors that will blend in seamlessly to your home's decor. You can also pair it with any smart cams, smart lights, smart doorbells and more for a truly smarter home.